I have always loved petunias. They were the first flowers I ever grew. I lived in Manteca, CA in a travel trailer at the time. I remember waking up one day and deciding I was going to learn about flowers. I bought a flat of red, white and blue petunias and a container for them to go into. I was hooked and the rest is history. I love the array of colors, the shapes and the versatility. Did you know that the purple ones have the strongest scent? 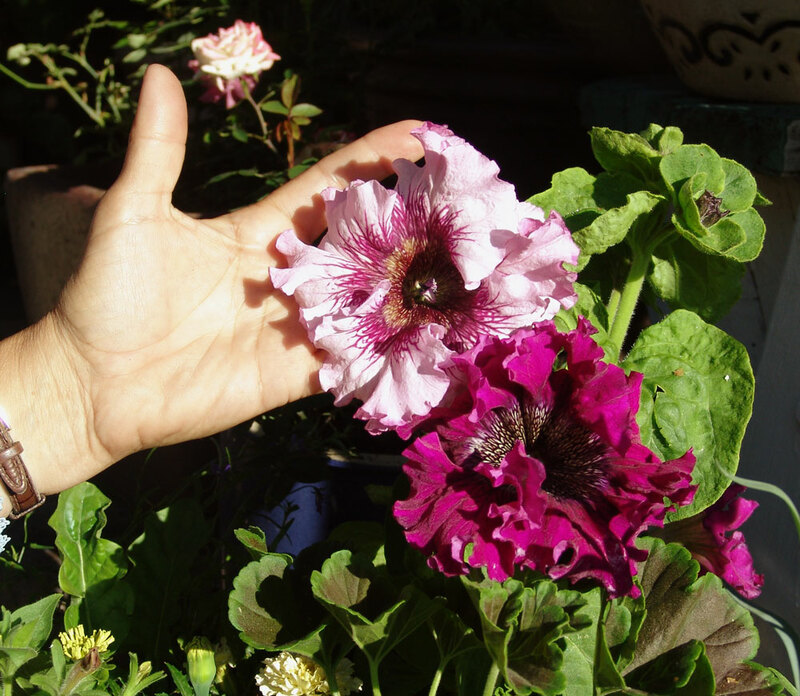 My favorite is the “California Giants” Huge, ruffled flowers with deep contrasting veining in the throats. 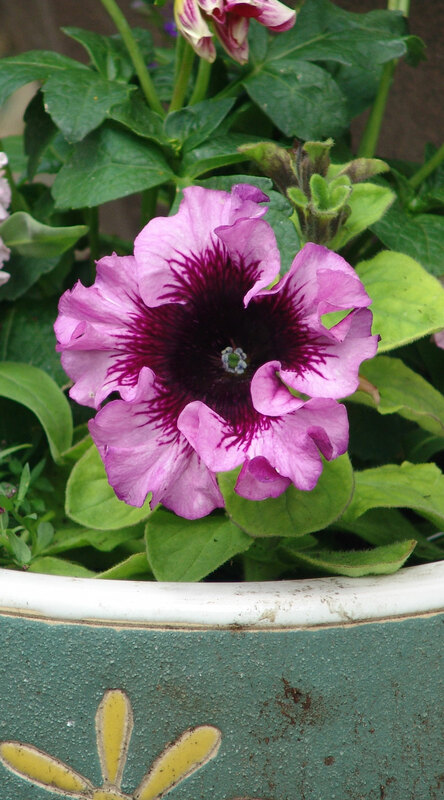 Here is an interesting article I found on the internet about the history of petunias. I am hoping this article shows up correctly. Apparently you need to click on thelink below. Petunias are one of the most popular bedding plants ever grown. Among the array of colors, shapes, sizes and habits available, there is bound to be something to please every gardener. It wasn’t always like this though.